One last holiday gift arrived yesterday in the form of a gorgeous day, especially considering that it's late December. Blue skies and light winds saw the temperature quickly rise into the mid-40's F. Such a day afforded me an opportunity to sandwich a new section of the Nashua River between two previously explored sections and would include both a new confluence and portage. After launching I briefly paddled upriver to the railroad bridge where one of the few surviving sections of the Worcester, Nashua, and Portland division of the Boston and Maine RR still sees freight trains running between Worcester and Ayer. The land running along the river's east side for the next 8 miles would be that of the Oxbow National Wildlife Refuge. 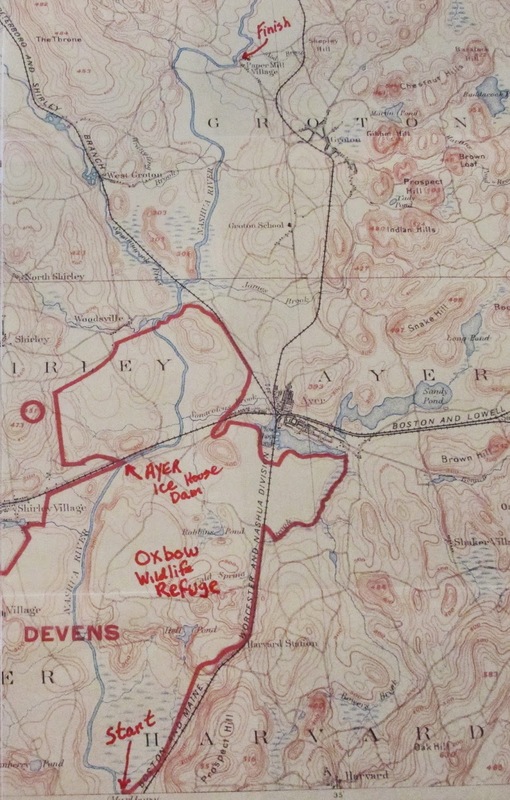 Land on the river's west side is posted "Off Limits", having once been part of Fort Devens military base. It never ceases to amaze me how highways look so small from the river and vice versa. I'm sure that on a long ago December 27th there was a nice warming fire crackling. The stream entering the river here is Catacoonamug Brook and it flows down from a distant pond in Luneburg originally known as Unchechewhaton Pond. Most folks today know Unchechewhaton as Whalom Lake where an amusement park operated from 1893 'till 2000. Staying to the left kept me in the deeper water. 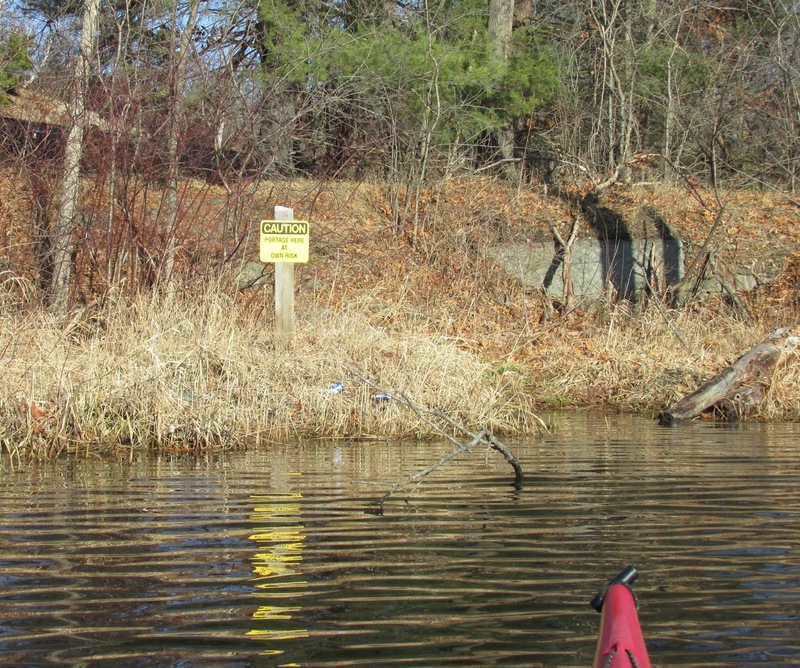 Below this point I was on familiar sections of the Nashua for the remaining 7.5 miles to Petapawag. Tributaries glided past in this section were: Nonacoicus Brook, Mulpus Brook, Squannacook River, and James Brook. Sounds of duck hunting were heard near the lower Squannacook. ...the power boat (sans motor) was tied to a tree. Not sure if rainwater and rising river levels did this, or if someone removed the bilge plugs. Either way not a good set of circumstances for the boat's owner to come upon.